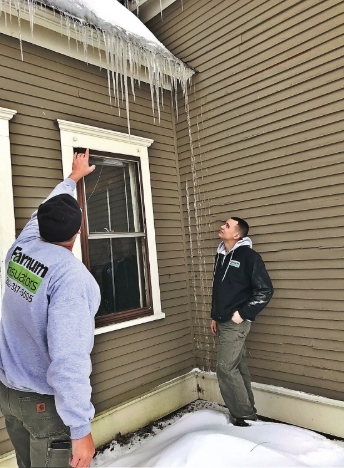 Farnum Insulators serves Dummerston VT homeowners and businesses with Spray Foam, Cellulose, Basement, Blown-in Insulation services. Dummerston, Vermont home insulation experts offering spray foam, cellulose, basement, blown-in insulation services – call us at (802)387-5005. Dummerston, VT is a town in Windham County, Vermont, United States. The population was 1,915 at the 2000 census. It is home to the longest covered bridge still in use in Vermont. Its borders include three main villages: Dummerston Center, West Dummerston, and East Dummerston. West Dummerston, VT covered bridge. As a Certified Contractors Network member company, Farnum Insulators is committed to observing the highest standard of Integrity, Frankness and Professional Responsibility in dealing with Dummerston, Vermont homeowners and business owners.